$3,799.99 Seen a lower price? $4,199.99 Seen a lower price? Witness the KRONOS. 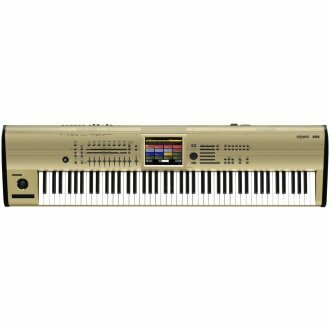 Created by KORG to satisfy today's most demanding, accomplished performers and producers--as well as tomorrow's visionary leaders-- the KRONOS embodies over 50 years of artistic vision and production expertise. With nine distinct synthesis engines and a complete suite of performance and productions tools, KRONOS is simply the most versatile synthesizer ever made. - Weight: 24.1 kg / 53.13 lbs.